Current trucking regulations from the U.S. Department of Transportation are being discussed and debated throughout the country by logistics companies and truck drivers. Although these rulings are intended to solve roadway safety issues for drivers, they may also greatly affect truckload capacity. Many leaders in the logistics industry have concerns about large cost increases and driver decreases that may follow introduction of these regulations. Major changes to existing regulations for commercial trucking operations now under debate include speed limiters, electronic logging devices and a new hours of service (HOS) rule for drivers. Especially in today’s uncertain economy, company owners and management across many industries have questions and concerns about just how much these new ground transport rulings will affect shipping cost, logistics businesses and other industries throughout the nation. One common argument against use of speed limitation devices for trucks is that requiring different speed limits for trucks and automobiles on highways increases the likelihood of vehicle accidents. Critics of vehicle speed limiters argue that research has shown highway safety is at its best when all road vehicles can move at equal rates of speed. According to results of a study at the University of Michigan Transportation Research Institute, although only four percent of all trucks on the roadways today are speed-limited, one half of all rear-end collision fatalities in which trucks were involved included trucks with speed limitations.² Detractors of speed limiting device use claim the true reasons for limiting truck speed are the popular per-mile payment method of truckload rates for drivers and general economics. Logistics company owners find it cheaper to control truck speed capacity than to reward safe, experienced drivers financially for their professional performance. • Detention Time at Loading Docks and Ports. – Both heavy truckload and LTL truckers often experience long queues and waiting time at shipper loading docks for loading or unloading cargo. Since many logistics companies do not compensate their truck drivers for waiting time at pickup and destination points, drivers lose both driving time and adequate truckload rates as payment. To solve this problem, it would take a concerted effort by both shippers and trucking company management concerning shipping cost. Currently, neither of these groups holds this issue as a top priority for change, although it is often a very high priority issue among truck drivers. Solving the issue would improve many ground transport factors, such as driver retention rate, hours of service, trucking company operating budgets and truck traffic congestion causing loading and travel delays. Although current legislation addresses this problem, it is still not given high ratings among the top trucking issues to be resolved. • Electronic Logging Devices. – Regulations requiring mandatory use of electronic logging devices (ELDs) by ground transport drivers initiate an additional task demanding compliance by all drivers. Combined with new hours of service (HOS) rulings, it is designed to produce accurate records of duty status (RODS) for all logistics company drivers. A major concern of drivers is the exclusion in these records of long periods of waiting time at shipping company loading facilities, causing unpredictable driving delays. When drivers are paid truckload rates according to their driving mileage, many lose money and leave the ground transport industry for other types of work. Many trucking company officials argue that a regulation requiring ELDs brings the trucking industry into modern, computerized business management status. They see this move as essential to keeping the logistics industry updated to meet current enterprise standards. With this new tool, are freight costs coming down? Actually, shipping cost figures are not currently decreasing. Both full truck and LTL rates remain unchanged. However, some drivers are reporting harassment in the form of requests by their trucking companies to log hours incorrectly when using their ELDs in order to be allotted additional work time or to postpone a break from driving. Such requests are most likely due to driver shortages by logistics companies. Another transport company practice considered to be harassment by some drivers is sending company messages with urgent work requests while drivers are scheduled to be off-duty and resting between driving engagements. Are freight costs coming down due to this action by carriers? Just the opposite is true—LTL rates and other shipping cost totals are increasing as drivers quit their jobs. 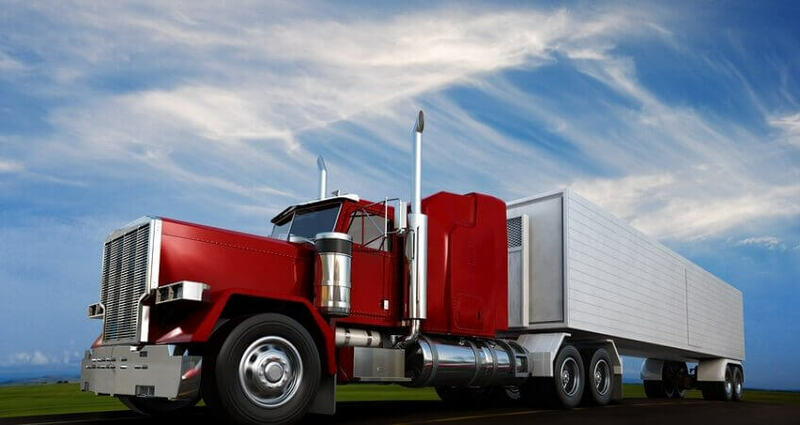 •Hours of Service Requirements.– Since both logistics companies and transport truck drivers are normally paid by the mile for each job, they are both impacted by this new regulation. When the total number of hours a truck driver is permitted to drive is decreased, both driver and trucking company make less money. According to the new ruling, drivers must record all driving and off-road time using an ELD during a 14-hour work shift. This will account for an average loss in productivity and profit of about ten percent for driver and trucking company. Under the new HOS rules, when a driver begins the work day, the clock starts recording time, only to stop after 14 hours have passed. All time spent at loading docks, in customs, on driver meal breaks.